Debra, Linda, Jennifer and I all thought the perfect way to start a snowy adventure was with a hot meal. So some hot pot fit the bill perfectly! The restaurant is just a little outside the main part of town. Which is nice, since there’s less traffic and much less busy. We were seated immediately and decided on sharing a large entree between the four of us. (Which in retrospect was probably not the best idea, since both Debra and I can EAT--don’t worry we didn’t starve, plenty of snacks at the cabin!) 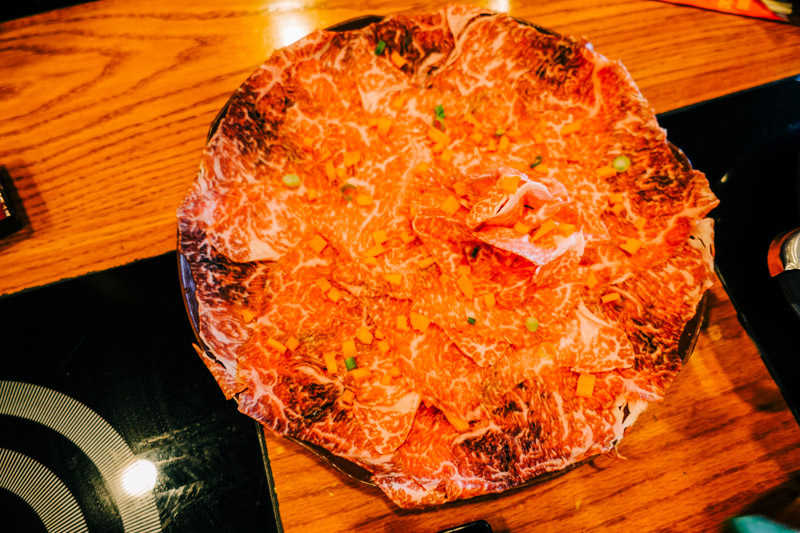 The service at Tahoe Hot Pot was very fast and they were very attentive, definitely recommend if you want a tasty healthy warmup. Water (Both): ice cold and always refilled! 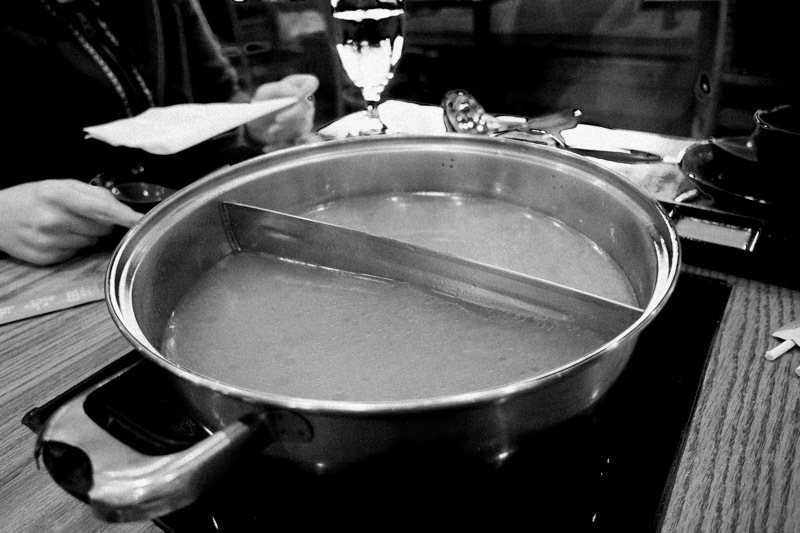 Hot Pot Shabu (Both): The group shared a half and half Miso and Tahoe Soup with large order of beef. Which included udon (and we got some extra ramen) and a small platter of vegetables. The broths were both good; however the Miso was the more flavourful of the two and we finished it quite quickly. The Tahoe Soup was good, but it was missing some flavour or spice to make it a complete broth. The vegetables were rudimentary as were the steak slices. Both types of noodles were fresh and went well with the broths. 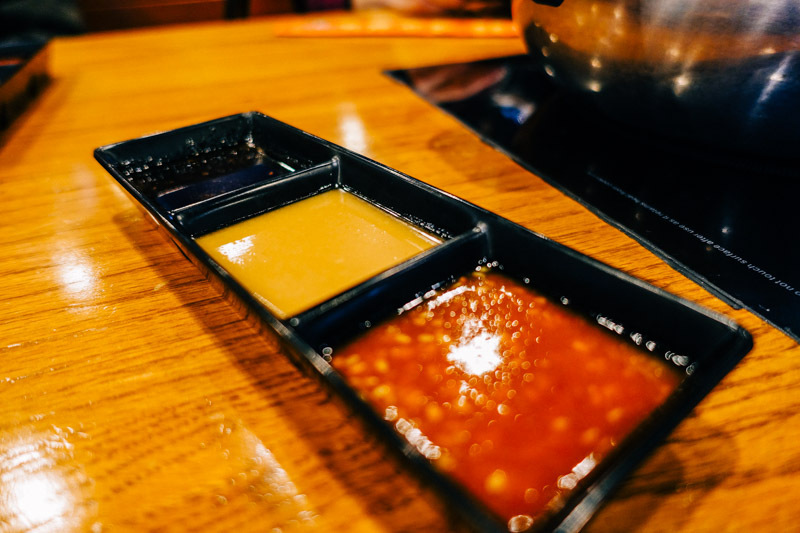 Their sauces were quite good, but the flavour of the miso broth was good enough to stand on its own. Debra: I love me some hot pot, especially when it’s cold outside. I agree with Natalia that the miso broth had way more flavor than the Tahoe Soup one. We didn’t get too many toppings cause we wanted to save room for the rest of the day! The noodles were my favorite toppings, as the steak slices were just satisfactory to me. The sauces were yummy though! Our 24 hour layover in Seoul! We've come to the last city in our trip!  So much food was eaten that there were will TWO parts.